FINALLY – A safe and natural solution for all your outdoor insect problems -including natural outdoor flea control. It turns out that Mother Nature had the answer all along: CEDAR! Now, thanks to modern technology, Cedar Oil can be extracted and put it into an easy-to-use form that works on all the bad insects. 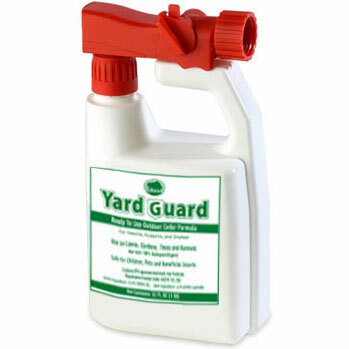 We make this available as a ready-to-use formula called YARD GUARD. 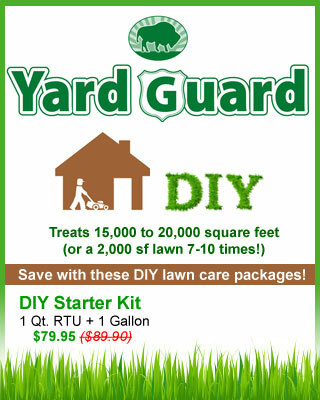 Use YARD GUARD for protecting your lawn and gardens, your pets and also for foundation (perimeter) insect protection. It controls aphids, scale, mites, ants, stink bugs, fleas, ticks, scales, mealy bugs, spiders, mosquitos, chiggers, scorpions, moths, Japanese beetles, grubs, squash bugs, chinch bugs, mole crickets, bill bugs, palmetto bugs, spider mites, webworms and a whole lot more. It even repels most snakes! The Organic Cedar Oil in our product work to both repel insects by aroma, and to destroy insects through its toxic effects on insect nervous systems. In the YARD GUARD formula we blend fractionated red Texas cedar oil with an organic (made from corn) carrier called ethyl lactate, and water. The ethyl lactate helps the cedar penetrate the insect’s shell and also helps dissolve insect eggs, which prevents future generations from hatching. And, cedar oil is a natural fungicide, so regular use will help fight powdery mildew and many disease conditions in the lawn and garden. The best way to protect your property from unwanted pests is to build up a cedar presence in the whole yard before the problem begins. Start with the foundation walls and work your way out. This is a non-staining formula so be sure to spray it over (and under in some cases) the deck, patio, walkways and outdoor furniture. It can even be sprayed on screens. It can be sprayed right on barn or stable walls and right over bedding too. 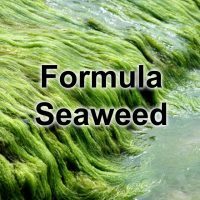 Treat the lawn and garden beds and spray it right on all the bushes and trees. For very large trees soak at least the first 8 ft of trunk. Soak any areas that have leaves or mulch on them as insects will hide or over-winter in these area. Also treat any standing water too to help with mosquito control You need to soak the whole yard really, really well the first time. You should easily be able to get 3000-5000 sf coverage from the 1 qt spray bottle. Or, you can use your own hose-end sprayer set to 1 or 1 1/2 oz per gallon of water. Spray the yard again, once a week for the following 2 weeks. These repeat spraying will create a cedar barrier in the soil that would repel any unwanted insects from the area. After you have sprayed 3 times you can continue spraying every 4 weeks. This should keep most insects and snakes from setting up home in your yard-especially in the soil. If you see any, simply apply again. TIP: Cedar loves water. If you can spray your yard after watering, or after a rain, the cedar will create a better barrier to insects. Note: During hot and dry times of the year spray in the early morning or evening preferably when temps are under 80 degrees and do not spray plants that are wilted or under drought stress. * Do not spray around exotic birds or rodent pets. For flying insects like Japanese Beetles that come in from other yards to nibble on your plants, treat the foliage again as soon as you notice them. A good rain or watering will wash the product off the leaves so reapply as needed. You cannot over-apply this product. If mosquitoes are an issue, the aroma of cedar will confuse them, so spray lightly as often as needed to keep them away. Simply apply more product over less area. For above ground insects you would use 1 qt of yard guard for up to 2500 sf. For sub-surface insects like grubs apply 1 quart per every 1000 sf. For Ant Mounds, drench the area outside of the mound first and then work your way in to the mound itself. TO APPLY WITH A PUMP OR TRIGGER SPRAYER instead of the hose-end sprayer: Stir or gently shake the bottle to handle any possible settling that might have occurred. Then mix 12 oz (1 1/2 cups) of Yard Guard per gallon of water. 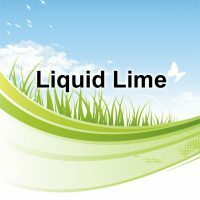 Use this more concentrated solution for treating smaller areas of the yard or garden, or to treat individual plants to prevent or to control insects. 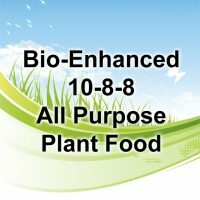 This can be sprayed on garden plants, indoor plants, indoor insects, and even on pets. For dogs, just wet their fur and rub in well. Fleas and mites hate it, and dogs often find it soothing for hot spots. Keep away from their eyes, and rinse with water quickly if it should get on them. Spraying the dog before a walk around the neighborhood or even a walk in the woods will repel any lurking fleas or ticks. For cats, you can spray on fur if they are docile enough. But might have better luck spraying on your hands or a towel and then rubbing it in.